Both players fight for the initiative in the game. Kasparov struggles to gain the upperhand in the opening and now he will take Kramnik's right to castle. Kramnik's defense is solid and Kasparov will have trouble breaking through. 11.Bb2 Kc8 12.h3 b6 13.Rad1 Ne7! Kramnik prevents Kasparov from playing 14.Nd5 and makes him switch plans. Kramnik is denying Kasparov the space he needs to take the advantage. 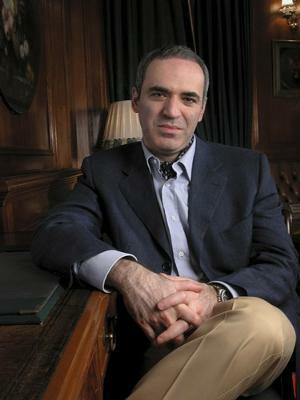 Kasparov has a slight lead but it's difficult to make a win from this position. The position is completely blockaded and neither player has any real chances. Play through this instructive Kasparov-Kramnik encounter to learn how to contain a World Champion.